The practice of using Methadone as a treatment for Heroin addiction has been highly recommended by some institutions. However, is it really a good choice of detoxification? 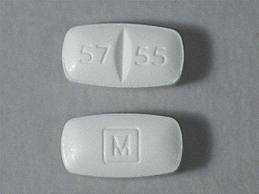 Methadone, also known as Amidone, Dolophine, Symoron and Heptadon, is a cheaper narcotic (opioid) that is mostly used to substitute other opioid pain relievers. It is also used as an antitussive and an anti-addictive element in opiate-related addiction detox treatments that include heroin and morphine addiction. Methadone was formulated in Germany in 1937 and was brought to the US in 1947. This drug can be administered through intravenous injections, inhalation and via the oral, sub lingual (under the tongue) or rectal route. Although used in the treatment of heroin addiction, Methadone also carries its own withdrawal symptoms and it's also highly addictive. According to studies, Methadone withdrawal can be harder to deal with and is potentially longer to battle than heroin addiction. Many patients who have succeeded against heroin addiction may soon after submit themselves for another detoxification and to end a new or another drug addiction. Since it had happened numerous times in the past and up to this very day, it may no longer sound strange and ironic that Methadone-treated heroin dependents may later undergo a Methadone Detox to completely clear themselves from drug addiction. Methadone Detox is the process undergone by previous Heroin, Morphine and Oxycontin users that were given Methadone as treatment for their addiction. This detox is highly needed once an individual finds it very hard to kick the habit. In addition, those who have tried to subdue its addictive effect may experience severe withdrawal symptoms that may lead them to get back to their previous addictions. As a result, patients that were able to clear themselves from the painful effects of addiction and withdrawal are prone to experience an addiction comeback. It has been proven that Heroin and Oxycontin detoxification should not be treated with another addictive drug for the same reason that the previous addictions are being treated for. The Coleman Institute, an advanced detoxification center with several locations in the United States provides detoxification without the use of Methadone and other addictive drugs. What is the Accelerated Detox Program? This is an outpatient treatment used for Methadone Detox but is performed inside a medical facility. Since its development in 2001, it has cleared more than 98% of Methadone affected patients. The Accelerated Detox Program advocates an 8 day treatment to help patients detox off of Methadone. The patient in this program is strictly monitored to ensure that every needed medical support and assistance is met and provided for. This is done to achieve a successful and effective detoxification. The Accelerated Detox also uses Naltrexone therapy that offers an efficient and comfortable way of eliminating addictive opiates from the patient's system. Naltrexone therapy also includes an implant that is recommended for 12 months to finally avoid a relapse. Sufferers of addiction may also seek help from the center's Aftercare Coordinator to find the appropriate treatment facility following a successful detoxification process. A support group will make the patient more invulnerable to addiction setbacks. Keep in mind that addictions should not be treated with addictive compounds, the use of doctor-prescribed, non –addictive medications are the most efficient method to fight-off addictions. Be treated by doctors and professionals who really care and sees what's best for you! If you or someone you love is in need of help detoxing off of Methadone, Suboxone, opiates, benzos or alcohol, please don't hesitate to call Jennifer Pius at 1.877.77.DETOX (33869). Remember, relapse prevention is possible!!! My brother is considering a methadone treatment, or a naltrexone therapy treatment to avoid a relapse. You say in the second-to-last paragraph that the naltrexone is an implant for around 12 months to completely dissolve the chance of getting a relapse. How effective is that method over a methadone treatment option? We're trying to figure out which method would be best. Is it possible to use both treatment options too? Please contact Jennifer at 804-307-0818. She is Director of Clinical Services for TCI and available to answer your questions. Thanks!